My way To Share . . . .
Every Person Have Dreams To Become A Millionaire But Very Few Peoples Become Millionaire. Many Peoples Say That If You Want To Become A Millionaire then try To Invest Money in Different Programmes, Companies e.t.c. And The Person Which Have No Money To Spend & Invest They Become ill and Start Some Wrong Ways To Earn Money To Make Your Dreams Possible. 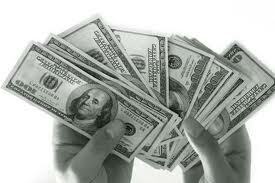 Many Peoples Invest Money In Hyip Programme , Money Double , Matrix Programme e.t.c To Earn Money.In World Many Legal Ways To Earn Money On-line If You Want To Become A Millionaire Then Try To Earn Some Money And Invest In Some Islami Banks , Islami Banks Give Profit On Monthly Basis And Give Profits According To Islam . Islami Banks Profit Is Depend Upon Bank Profit , Some Banks Profit are Fix Which Is 15% , 10% Its Not Halal According To Islam.Try To Invest Money In Islami Banks Which Give Less Profit But Its Halal & Halal Is Much Better Than Haraam. Why Islami Bank Profit Is Halal? Islami Bank Profit Is Halal Because Its Not Fix And Its Profit Depend Upon Company Profit. Purchase Gold , Silver & Oil. Try To Invest Money In Gold , Silver & Oil Which Prices Is Gain Day By Day. Start Sale And Purchase Gold, Silver & Oil . If You Want to Start Sale And Purchase Gold, Silver & Oil On line You Must Need Only Rs. 25,000 To Start and If You Work On line In Sailing And Purchasing Gold, Silver & Oil 5 Days A week You Will Become A Millionaire In Few Months. More Coming Soon.. . . . .